The salt mines of Cracow exemplify a large industrial establishment, administratively and technically well organized, the continued existence of which has been ensured by the process of adaptation since the Middle Ages. The progressive development of mining processes over the centuries is perfectly illustrated there, in all its stages, owing to the consolidation and conservation of the old galleries, each with the installations of their time. A comprehensive collection of mining tools displayed inside the mine constitutes valuable material evidence of the evolution of mining technology over a long period of European history. The Wieliczka Salt Mine, located in southern Poland near the city of Cracow, has been worked as a source of rock salt since the late 13th century. The total length of the galleries, in which are to be found wells, corridors, labyrinths, excavations of all sorts, rooms, and even chapels cut out of the salt, with altars, pulpits, and statues, is some 300 km, connecting more than 2,000 excavation chambers on nine underground levels. It extends 5 km to the east and west and 1 km to the north and south, reaching a maximum depth of 327 m below the surface. Over the centuries, miners have established a tradition of carving sculptures out of the native rock salt. 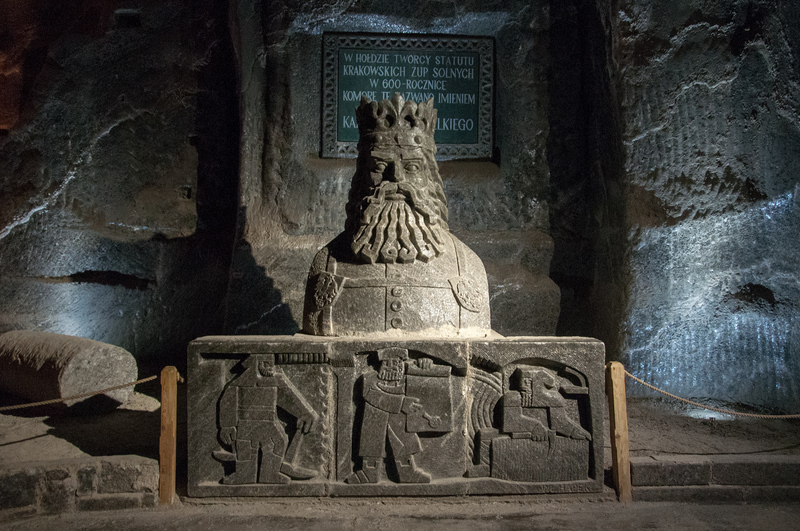 As a result, the mine contains entire underground churches, altars, bas-reliefs, and dozens of life-size or larger statues. It also houses an underground museum and has a number of special-purpose chambers such as a sanatorium for people suffering from respiratory ailments. The largest of the chapels, the Chapel of the Blessed King, is located 101 m below the surface; it is over 50 m long, 15 m wide and 12 m high, with a volume of 10,000 cm3 . The subterranean lake, open to tourists since the 15th century, completes this curious complex. 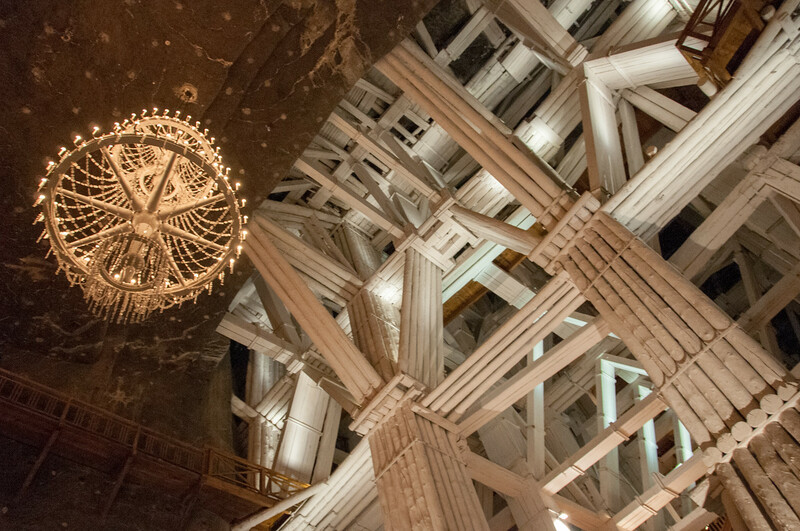 The Wieliczka Salt Mine is one of the top attractions for anyone visiting Krakow. The salt mine is most famous for the chapels and sculptures which miners have been carving for hundreds of years. I have long heard about the salt mines but I wasn’t really expecting to be as large as it was. Some of the caverns are enormous and what tourists can see is only a fraction of the mine. There are numerous tours available throughout Krakow and you should budget at least two hours to explore the mine. 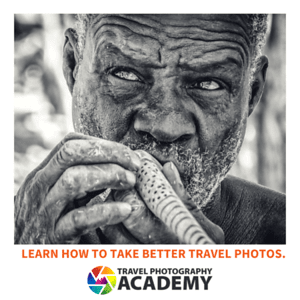 Lighting conditions in the mine are poor at best, so either bring a tripod or lower your expectations. The salt mine also has the distinction of being one of the 12 inaugural world heritage sites listed in 1978. The Wieliczka Salt Mine is one of the most important cultural monuments in Poland. As a testament to this, the site gets about 1 million tourist visits per year. It is a cultural site that consists of a mine, chapel, and various statues. It is located in Wieliczka, Poland and was inscribed in the year 1978. However, it was added to the endangered list in 1989 but was lifted from the list in 1998. The mine was opened in the 13th century and produced table salt until 2007. Therefore, it earns the recognition as one of the oldest salt mines that was in operation (until it ceased to operate). The threat of mine flooding and low salt prices was critical in the discontinued operation of the salt mine. The Wieliczka Salt Mine has been around for about 700 years. It symbolizes one of the oldest business ventures in Poland. 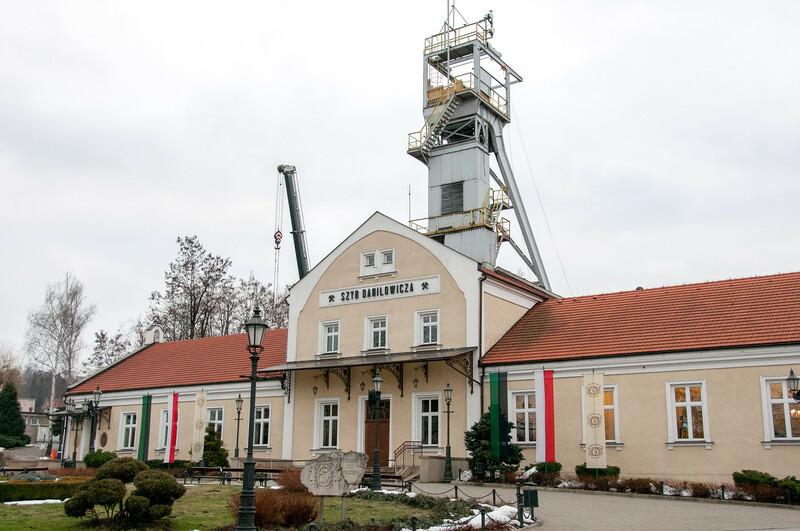 Since it was opened, the mine was operated by Źupy krakowskie Salt Mines company. The history of this salt mine dates back to about 13.6 million years ago when the salt deposits begin to form during the Middle Miocene period. About 6,000 years ago, there was Neolithic salt evaporation that took place at the current site of the Wieliczka Salt Mine. In the early medieval stage, settlements started to form in the area. There were stone churches, inhabited settlements, tools, trade, and crafts that were being made. Also, salt manufacturing was also getting started. By the 13th century, rock salt was discovered in Wieliczka. This prompted the first shafts to be dug in the area. By the year 1290, Wieliczka was established as a town. The manufacturing of salt snowmen continued during this time. It was in the late 13th and early 14th century when the construction of the Saltworks castle was started in Wieliczka. Today, it is known as the Krakow Saltworks Museum. In the 14th century, there was a lot of work done to deepen the shaft in the Wieliczka Salt Mine. The mining laws were established in 1368 to regulate the mining operations in the town. During the 15th century, the Wieliczka Salt Mine has employed about 350 people and it has produced up to 8,000 tonnes of salt. The digging of shafts at the Wieliczka Salt Mine was continued until the 16th century. The 16th century to the 17th century was recognized as the period of glory for the Wieliczka Salt Mine. The mining crew had grown to 2,000 and the total output of salt reached 30,000 tonnes. It was not until the 19th century when the mechanization of the underground mining works was introduced. 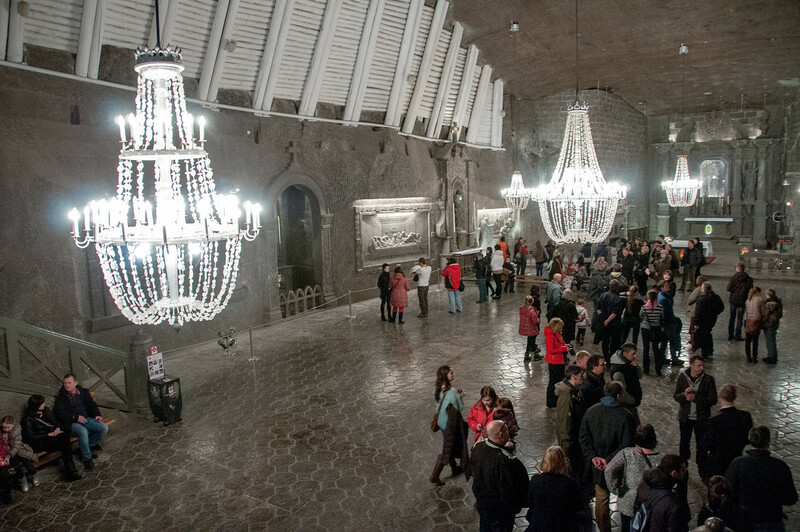 Today, there are guided tours available at the Wieliczka Salt Mine. It consists of a labyrinth of tunnels with the deepest level at 327 meters beneath the ground. However, only a section of the mine is open for tourists. Only 22 chambers and up to 135 meters below the ground is where the tourists are allowed to explore. Open to tourists since the 15th century! Amazing history! Thanks for sharing.